The University of Guelph has created a research scholarship in recognition of Dr. Anne Innis Dagg. The announcement was made following a special screening on February 11, 2019 of The Woman Who Loves Giraffes, a documentary film which examines the life and work of Dr. Dagg, the world’s first ‘giraffologist’. The Dr. Anne Innis Dagg Summer Research Scholarship is in recognition of Anne’s pioneering research on, and significant contributions to, the study of giraffe. It will be awarded annually to an undergraduate student majoring in either Zoology or Biodiversity. Anne Innis Dagg was a 23-year-old biologist when she set-off in 1956 to study giraffe in the wild. This act made her the first person to not only study giraffe in the wild but also the first person to study any African animal in the wild. On her return to Canada, she wrote Giraffe: Biology, Behaviour and Conservation, which became THE bible for future biologists studying the giraffe. More research papers followed as did part-time teaching positions at the University of Guelph. Her ground-breaking field research was unfortunately cut short in the early 1970’s when she was denied tenure by the college. This essentially ended her academic career. For three decades, Anne Innis Dagg was absent from the giraffe world until 2010 when she was sought out by ‘giraffologists’ and not just brought back to into the fold, but finally celebrated for her work. 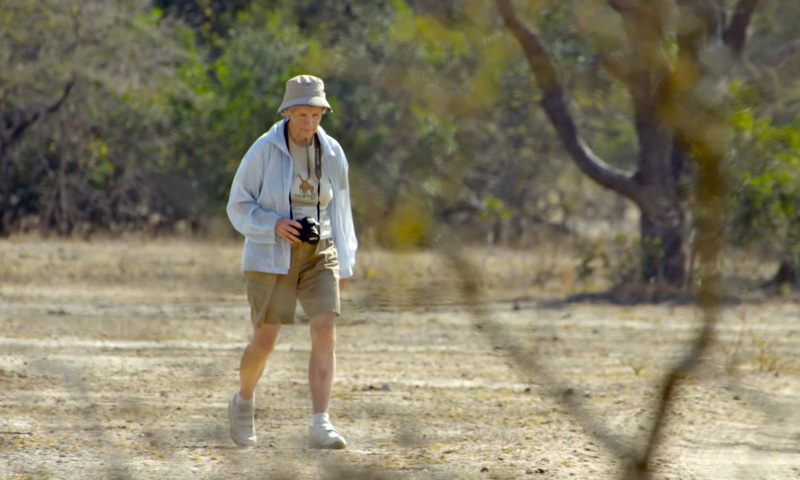 The Woman Who Loves Giraffes follows Dr. Dagg on her first expedition back to Africa to retrace where her trail-blazing journey began more than half a century ago. Her treatment by the University of Guelph as well as other Canadian academic institutions (She couldn’t apply to the University of Waterloo because the Dean there told her that he would never give tenure to a married woman) is explored in the film, leading to a confession that it was institutionalized sexism that ruined her career — and not lack of qualifications. At the screening, Dr. Dagg received a written apology from the University of Guelph’s Provost and Vice-President, Academic, Charlotte Yates on behalf of the College of Biological Science. The college also made a donation to each of the charities that Dr. Dagg supports: Save the Giraffes, the Reticulated Giraffe Project and the Wild Nature Institute. Gifts to the Dr. Anne Innis Dagg Scholarship Fund can be made at the University of Guelph website, or by contacting Taline Artinian by email at artinian@uguelph.ca or by phone at 519-824-4120 ext 54568.